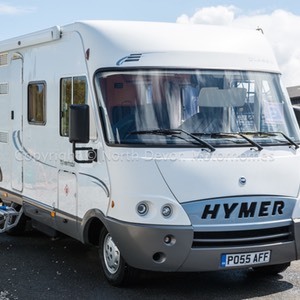 A fabulous clean and stunning example, can only really be described as being A1 mint for the year and fully loaded to the brim with extras. 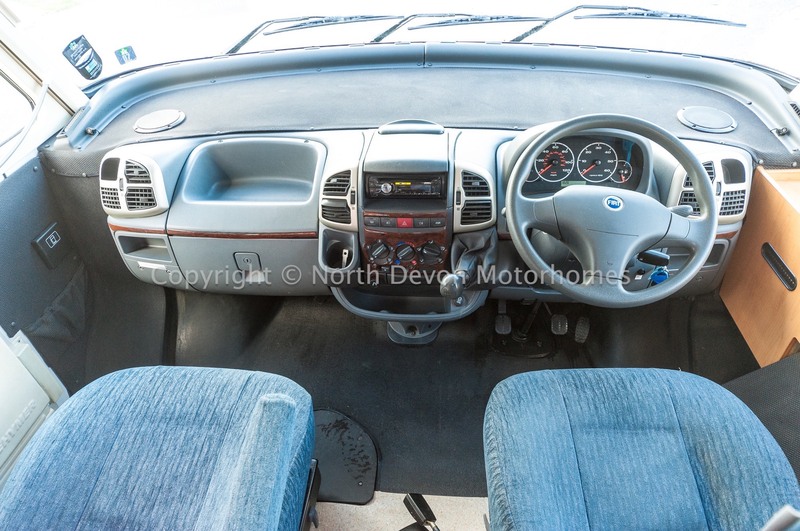 RHD, drives superb with plenty of power available from its Fiat based, 2.8 JTD engine and 5 speed gearbox. 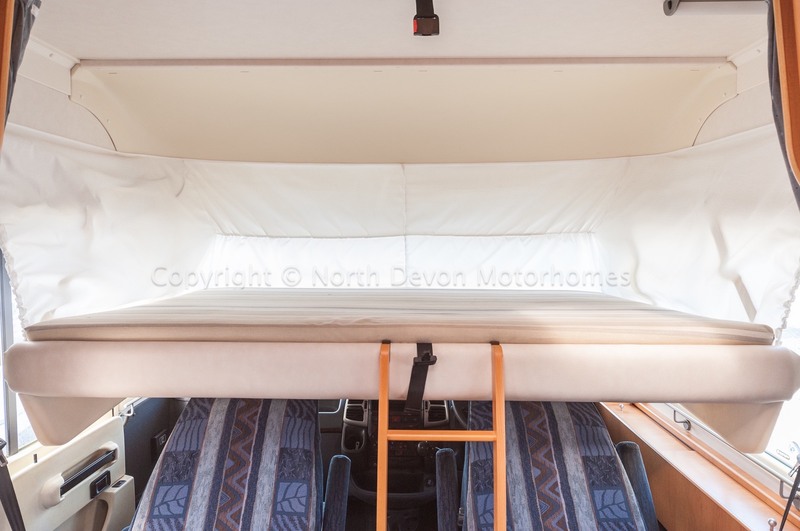 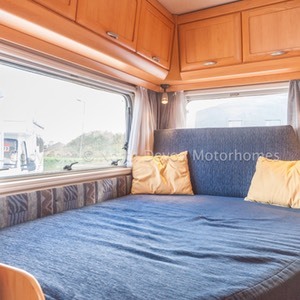 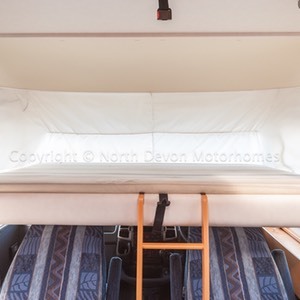 A favoured layout of rear fixed french bed and overcab bed, comfortably sleeping four with 4 belted seat belts and a further double if needed in the lounge. 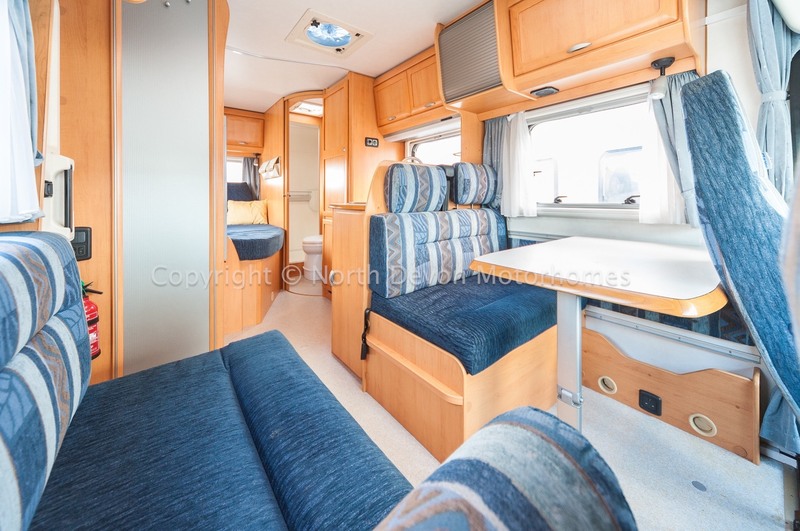 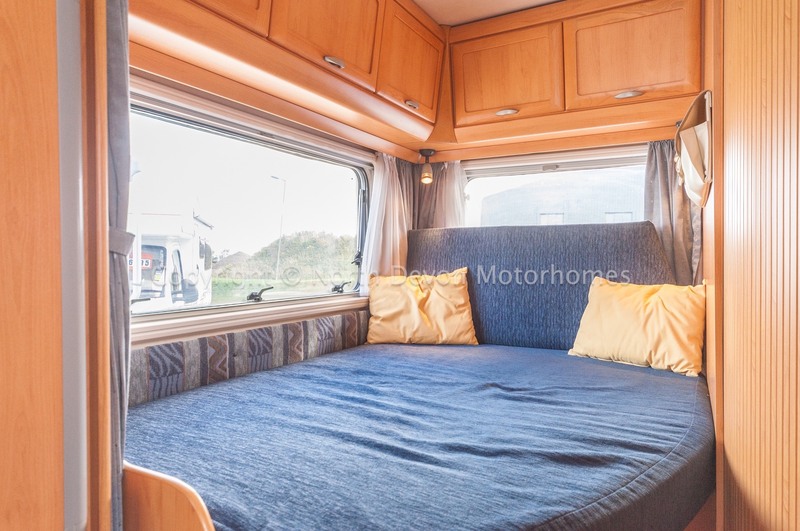 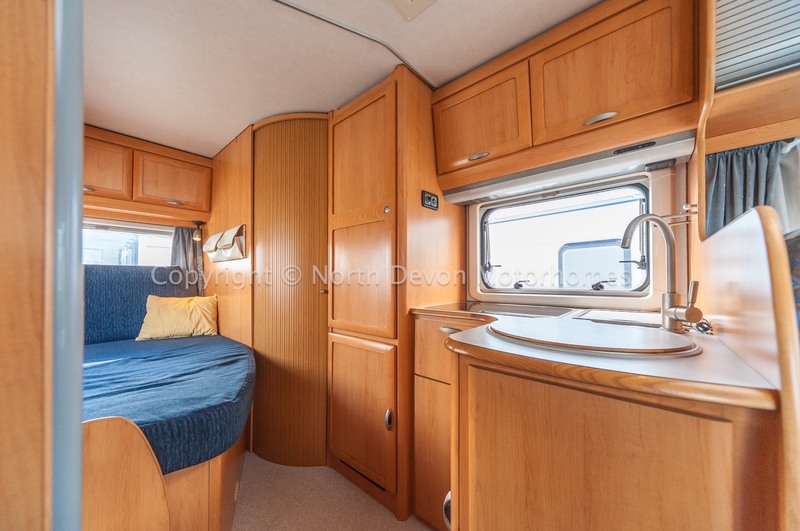 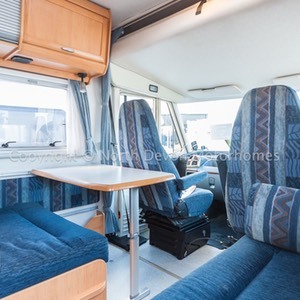 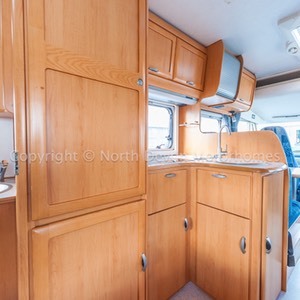 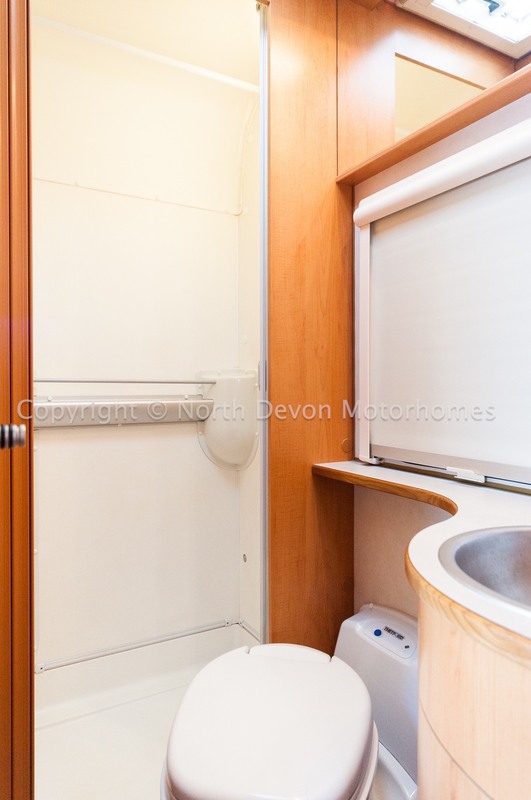 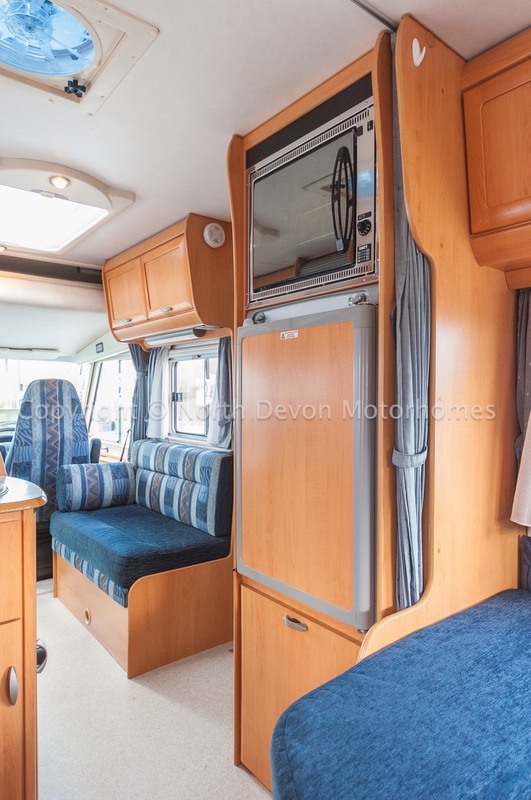 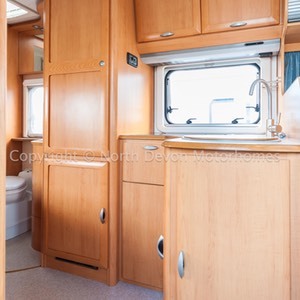 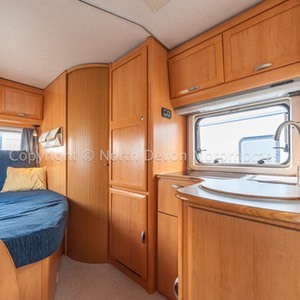 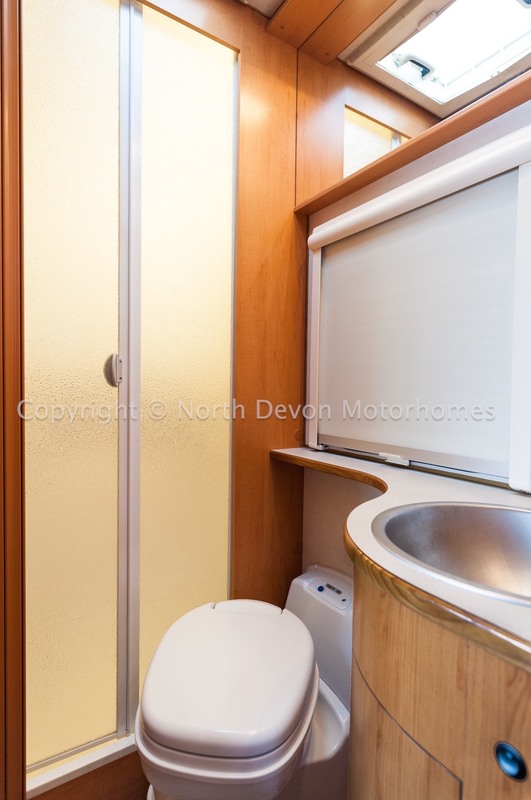 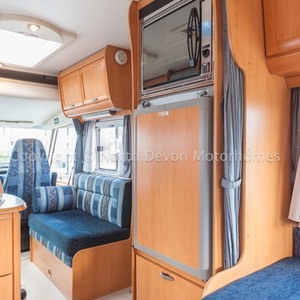 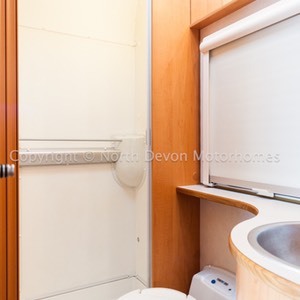 A spacious lounge and oodles of useful internal and external locker storage, really does make this a very desirable motorhome. 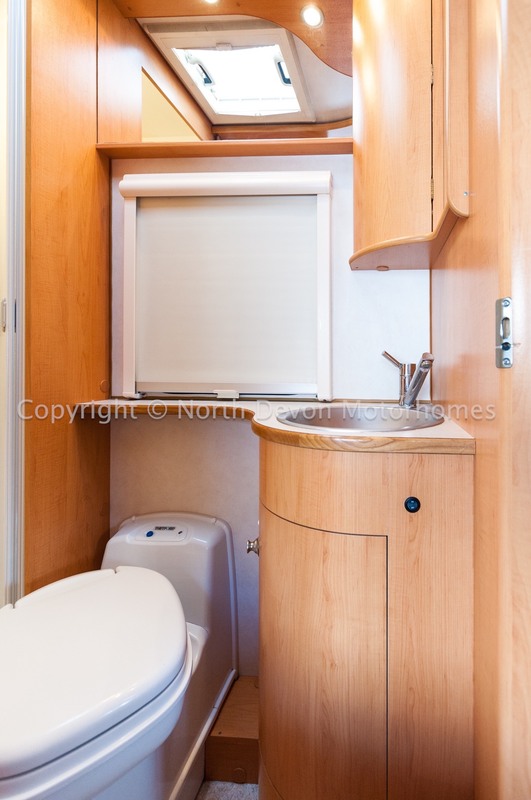 Washroom: Swivel based cassette toilet, Seperate shower, Corner moulded sink with built in storage, Mirror over sink, 12v lighting, Skylight vent, Window with net and blinds. 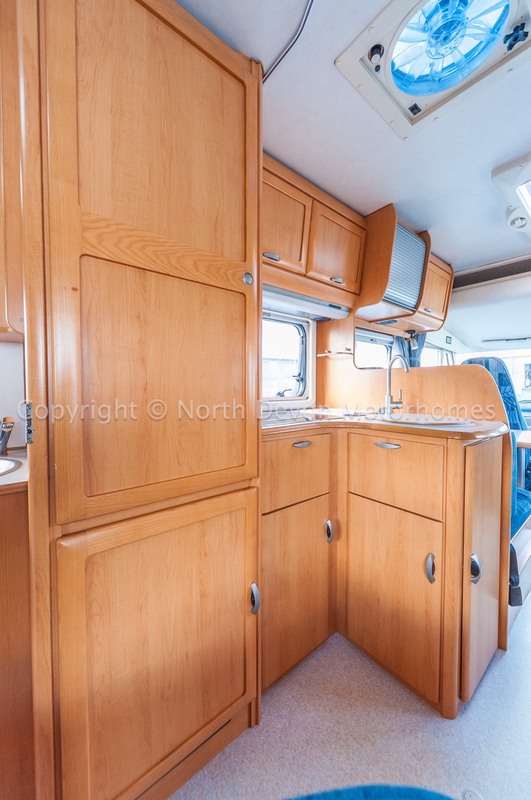 Kitchen: 3 burner hob with built in drainage, extractor with light over hob, oven with grill, sink plus seperate draining and chopping board, 3 way fridge, plenty of low and high level storage, built in ceiling fan/extractor. 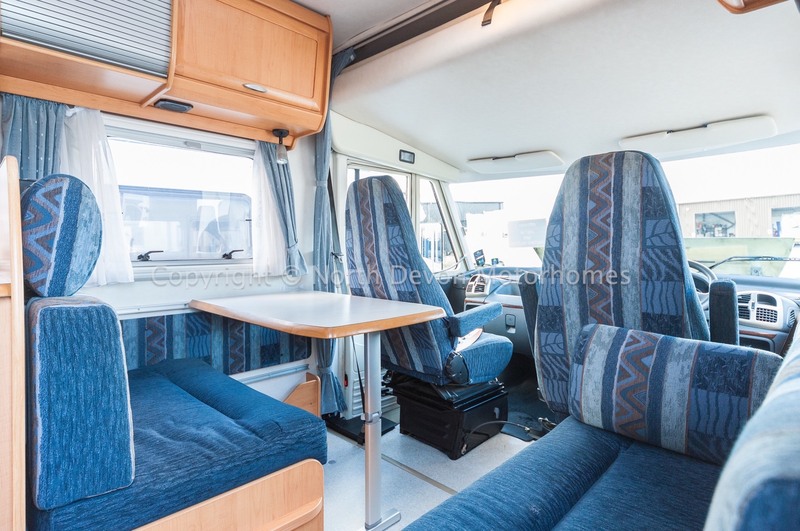 Lounge: Half dinette, opposing bench/settee, 2 large opposing windows along with a large Heiki roof light together providing ample natural light. 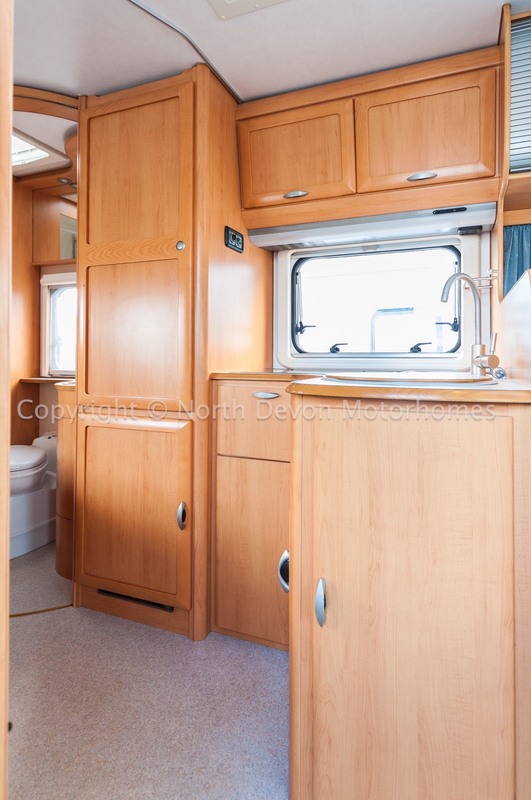 TV Station, low and high storage. 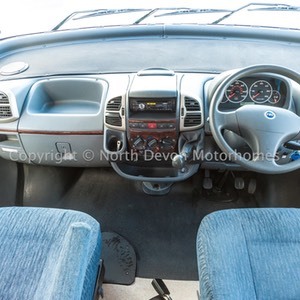 2 further seat belts. 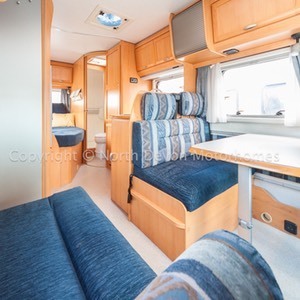 Heating and Water: Trumatic C combination boiler Running on gas and electric, providing hot water and blown air heating Gas and 240V. 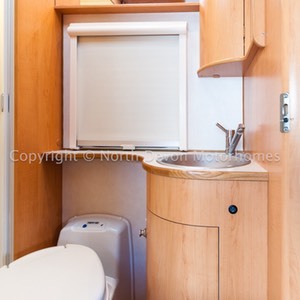 Water: Onboard fresh and waste water. 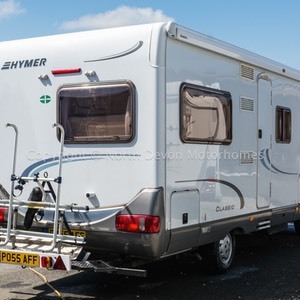 Electrics: 240 Volt mains hook up, 12V leisure battery with Zig charger. 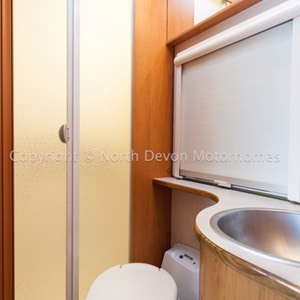 Sleeps: 4/6 Berth, consisting of drop down double over cab, fixed rear French bed, lounge can convert to another double bed. 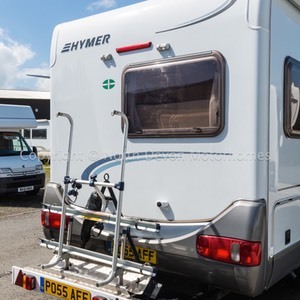 Extras: Awning, Electric step, bike and scooter rack, silver screen, free standing satellite dish, safari room, air ride suspension. 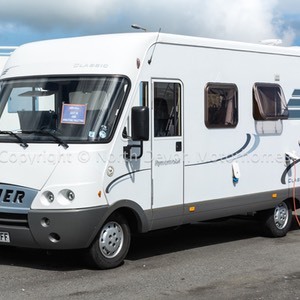 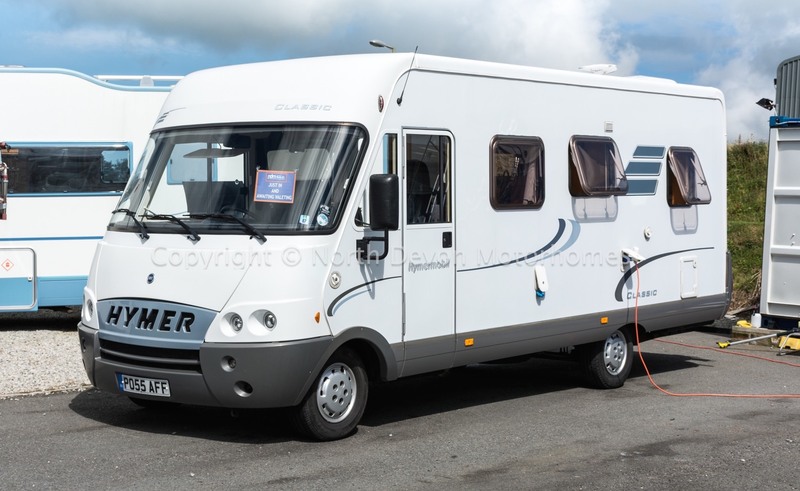 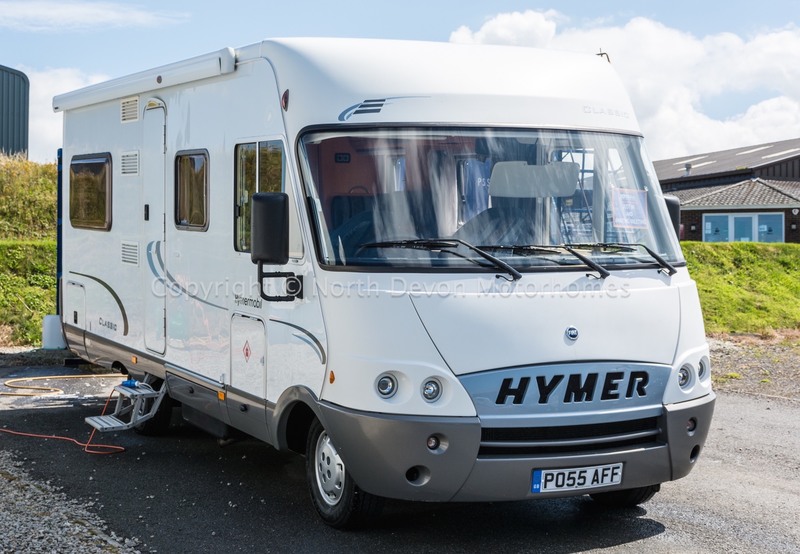 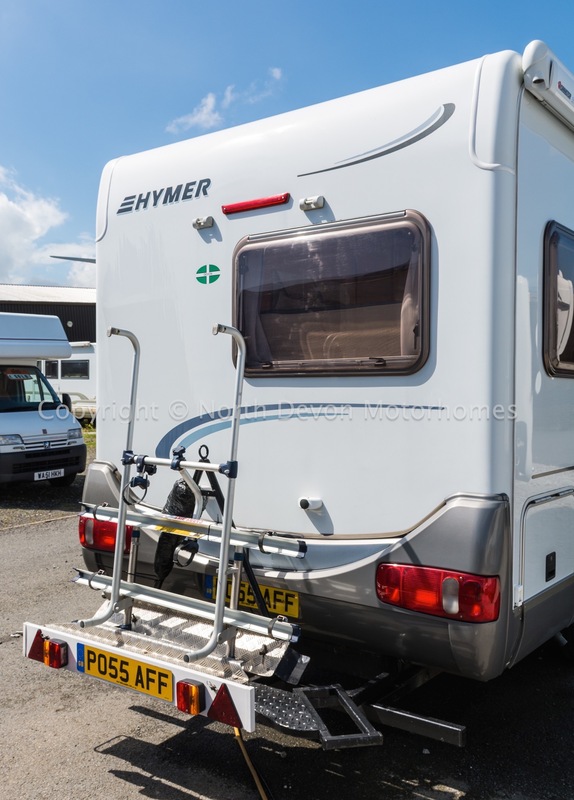 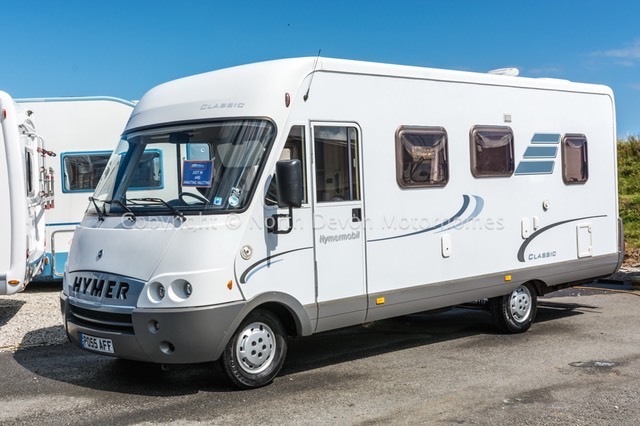 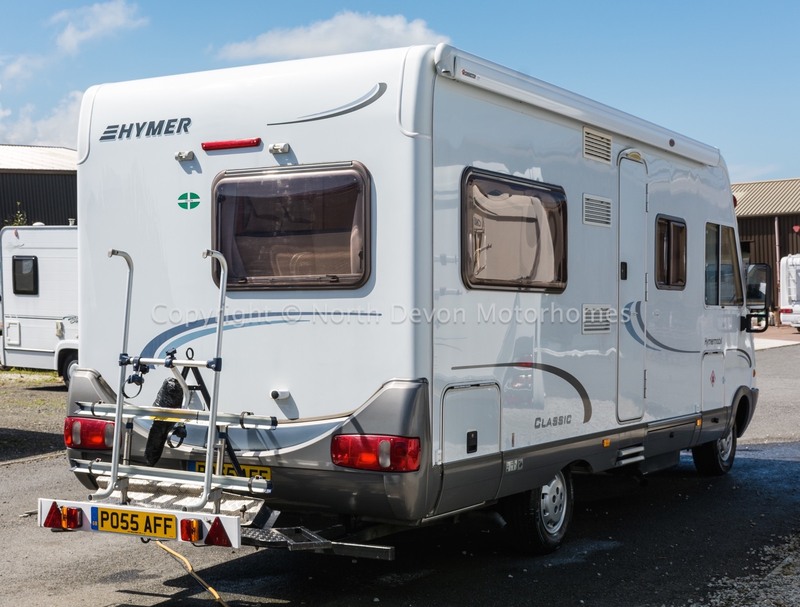 Summary: Absolutely fabulous right hand drive A-Class Hymer with a superb layout built to typical high German Hymer standards, Offered for sale fully serviced both mechanical and habitation with a comprehensive 12 month warranty.